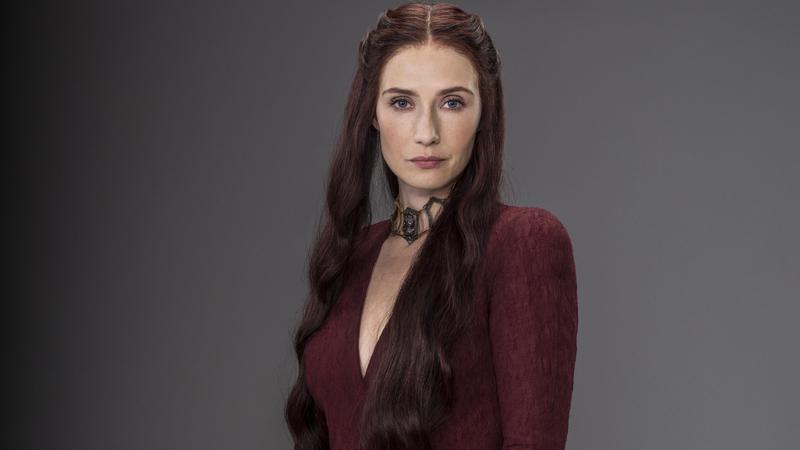 Any Game of Thrones fan will agree, Melisandre is one confusing character. 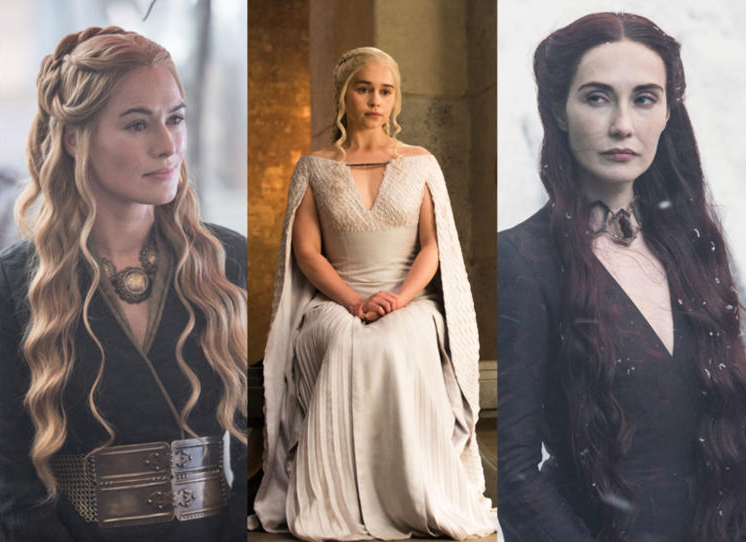 Like many of the other personalities who are consistent only in their ability to swap sympathies, Melisandre is hard to pin down. 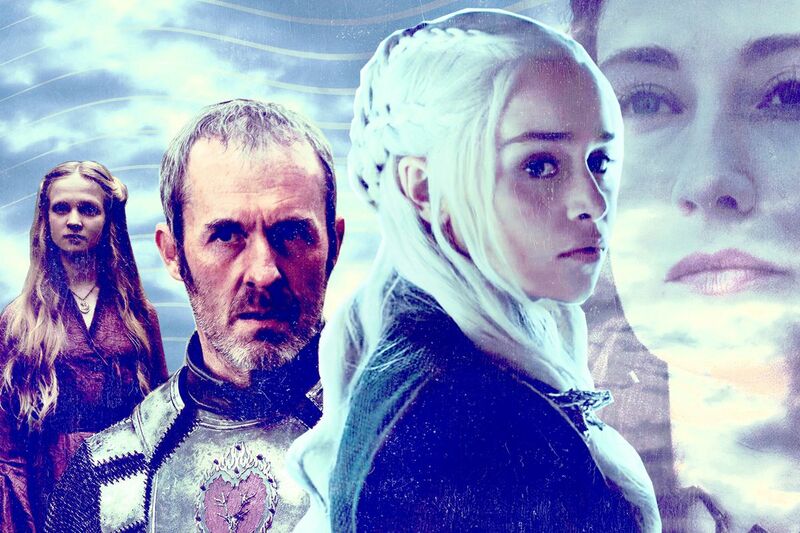 Her history and current motives are ultimately unknown; however, many hints are dropped to audiences along the way, which makes for a lot of GoT theorizing. She also brings some of the greatest magical and seductive moments to the plot, with her powerful abilities and tempting sexuality. 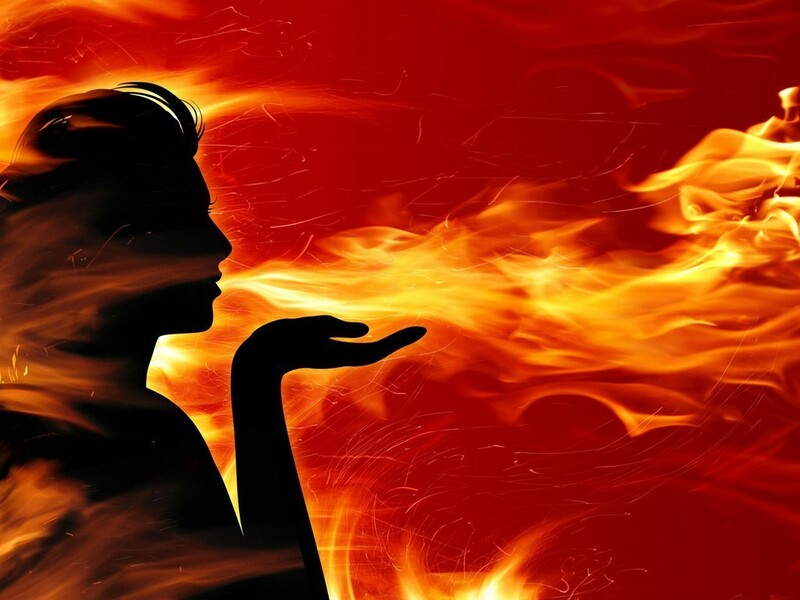 Read on to get all the mystical and mysterious details that we do know about the magical Melisandre. 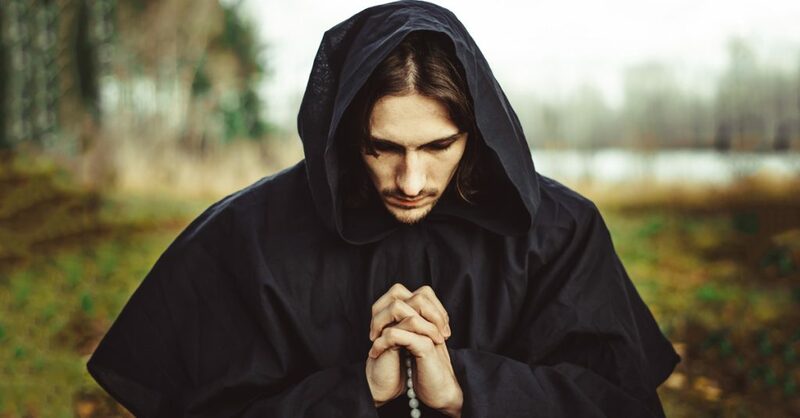 Melisandre is a priestess of the god R’hllor, the Red God and the Lord of Light, which according to Martin is based on actual religions like Zoroastrianism and the Cathars of Medieval Europe. 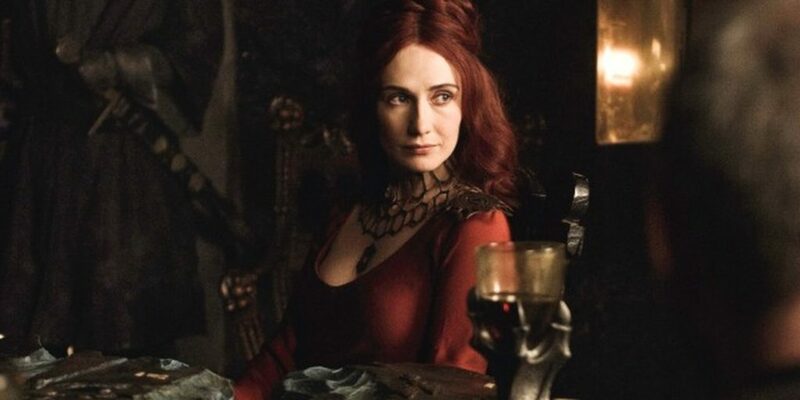 Melisandre came to Westeros, and into the Game of Thrones stories, in order to spread her faith in the Red God, who was mainly worshipped in the continent of Essos, with the people of Westeros mainly adhering to the faith of the Seven. Despite being a mysterious character who keeps to the fringes, Melisandre has had a big influence on the world of Westeros. 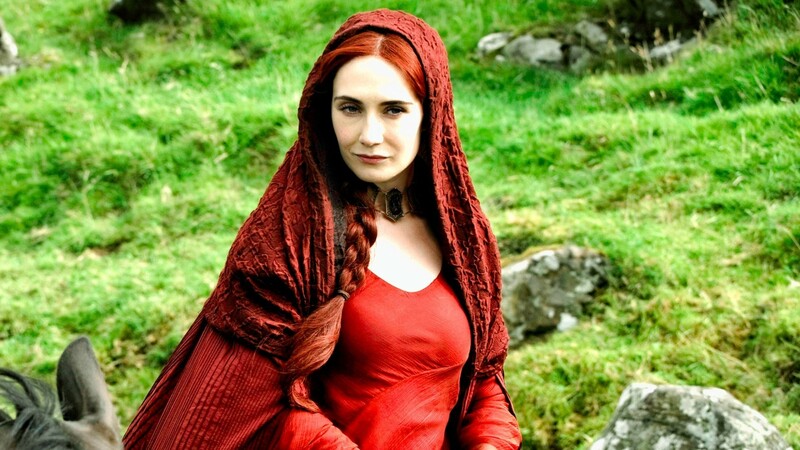 In one major function, Melisandre married the daughter of Lord Karstark to the leader of the Thenns wilding clan. 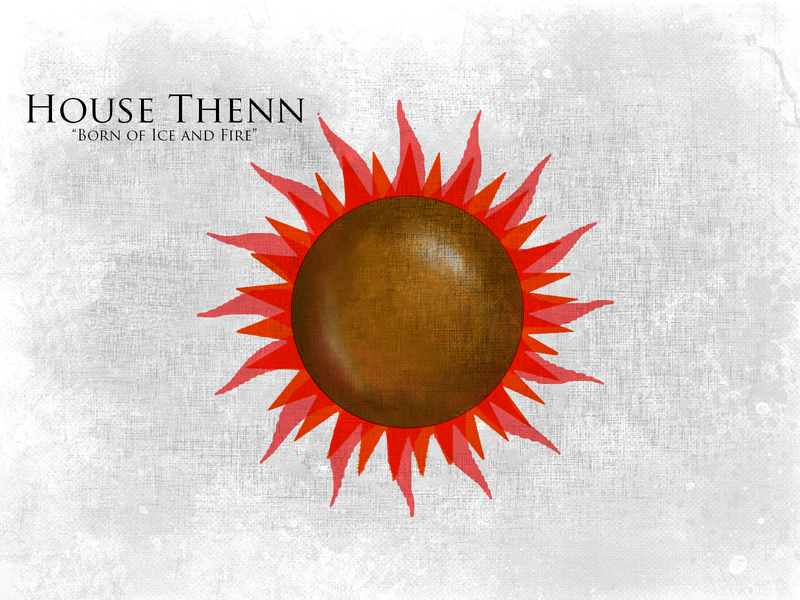 In this marriage, Melisandre created House Thenn, the first wildling House in Westeros. 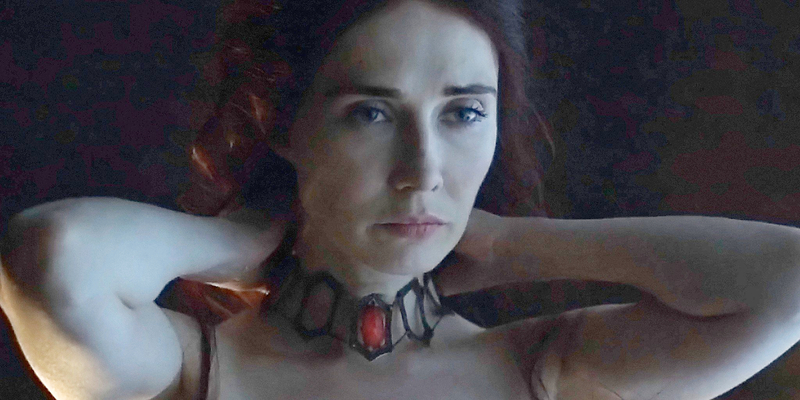 Melisandre is the close advisor to King Stannis Baratheon in his campaign to take the Iron Throne—she believes him to be the reincarnation of Azor Ahai, the messianic figure in the faith of R’hllor who will battle the “great other,” and she convinces him to join his faith by showing him the fearsome power that she possesses. 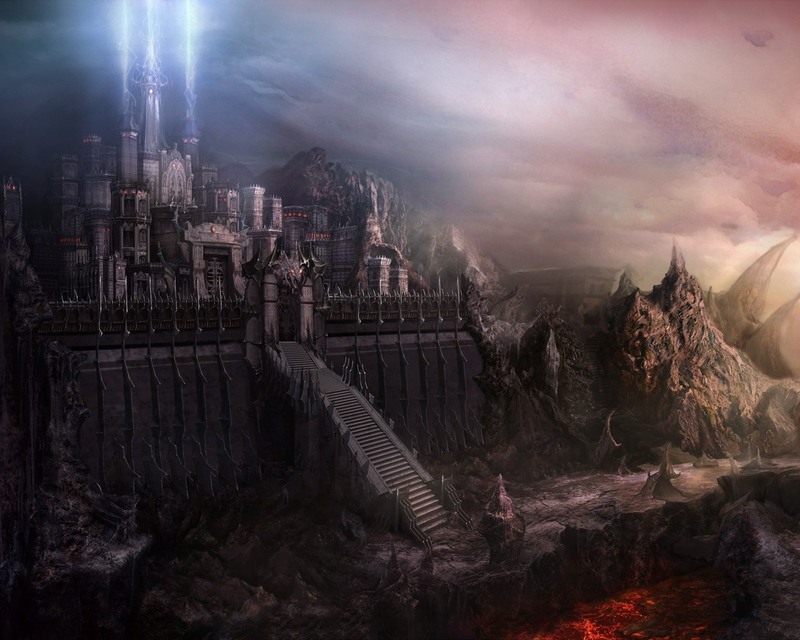 Melisandre comes from Asshai, a mysterious country on the far side of Essos. 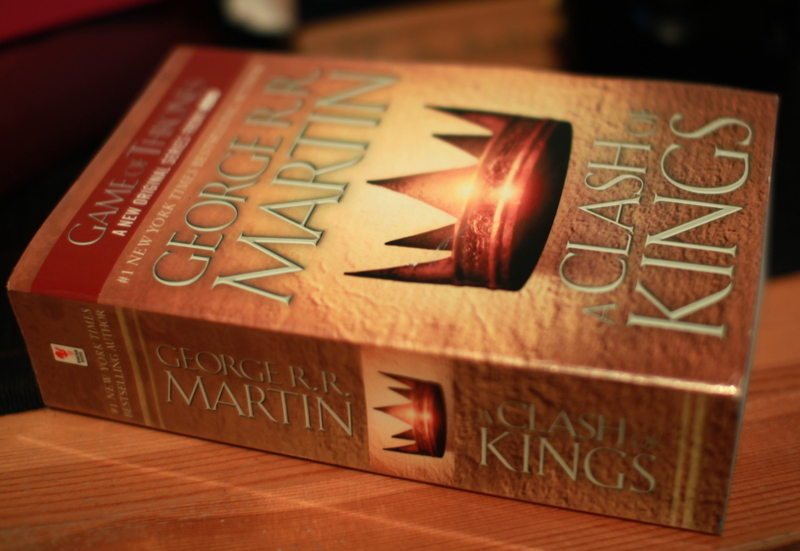 As of yet, viewers and readers have yet to be taken to this enigmatic place, and George RR Martin has said that he’s unsure if that will ever change. Her character was first introduced in the books A Clash of Kings, then she continued influencing events in A Storm of Swords and A Dance with Dragons. 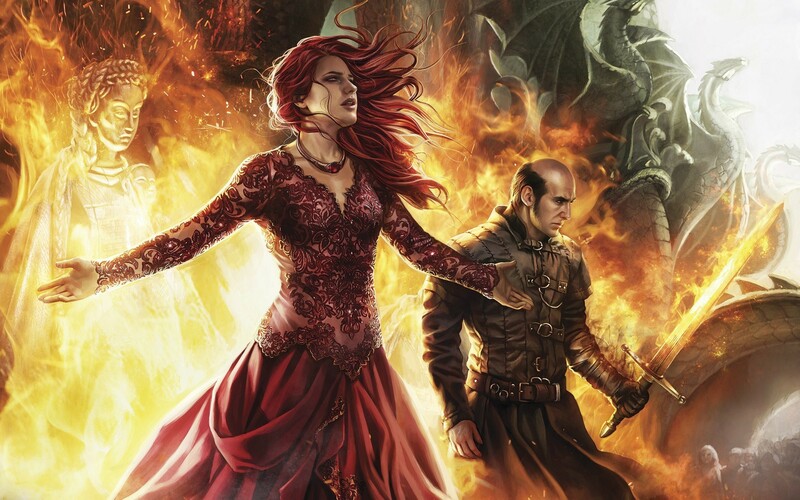 Melisandre only has one point-of-view chapter in the books so far, in the fifth book A Dance with Dragons. However, for anyone who found that brief look tantalizing, don’t worry—Martin has said that her perspective will be used again in the future. 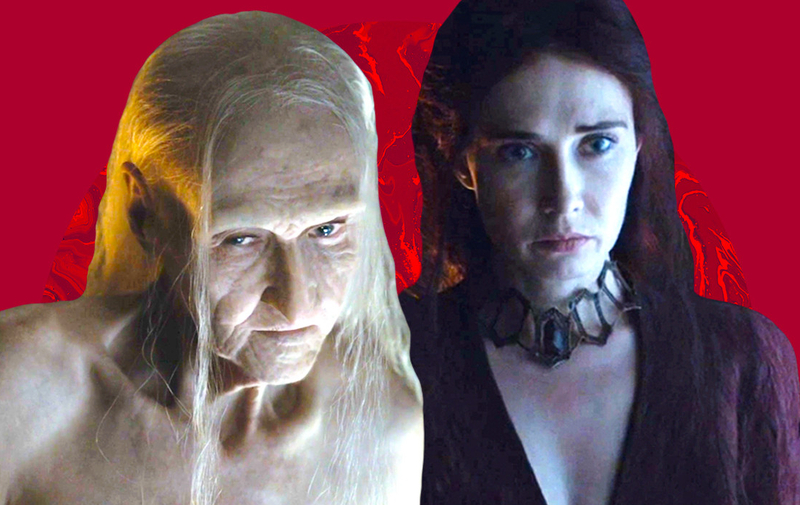 Magic isn’t Melisandre’s only talent—she’s also got the gift of tongues. 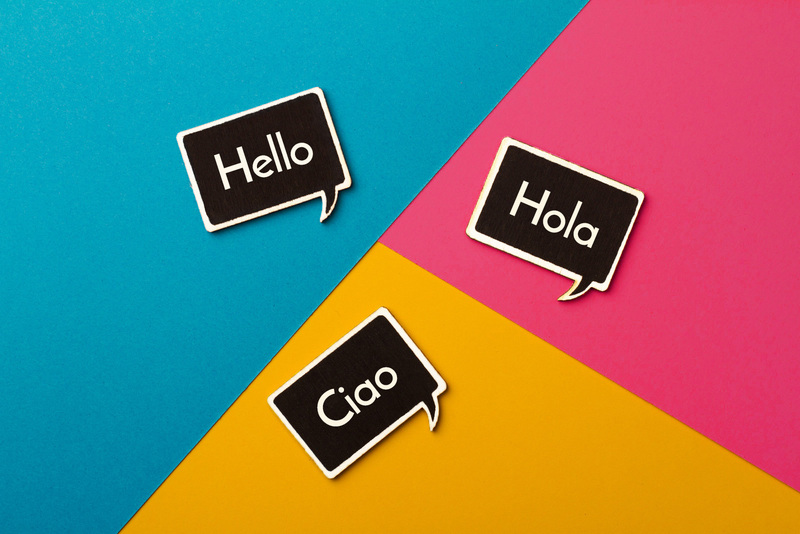 She knows three languages: the Common tongue, High Valyrian, and Asshai. In Melisandre’s religion, she believes that the messiah, Azor Ahai, will defeat the Great Other with the help of a magic sword, Lightbringer. 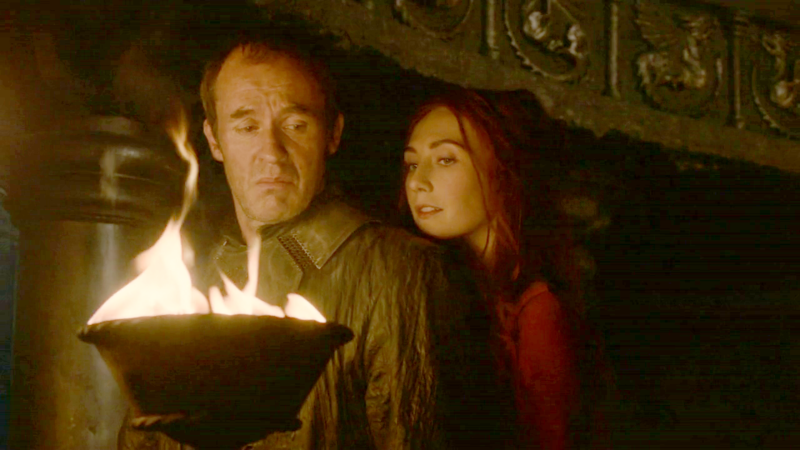 In the novels, Lightbringer plays a more prominent role as an indicator of Melisandre’s mistaken prophecy—the real Lightbringer is supposed to exhibit a magic aura, while Stannis’s sword never does, a hint that the stern Baratheon is not the savior she believes him to be. In the books, Melisandre warns Jon of his imminent death. She has a vision of daggers and skulls, and tells him it could mean problems for him, but he ignores her, and…well, spoilers. As with everything with Melisandre, her skills are somewhat ambiguous. She has abilities, but she also has flaws. One major gap in her magical tool box is the ability to correctly interpret the prophetic visions she has access too, as she has frequently missed the point. Nowhere is this more clear than when her visions of Azor Ahai show her Jon Snow, which she regrettably ignores. This results in Stannis’ death, and possibly her own downfall. It is not known how old she is, but in the TV series she is revealed to be much older than she looks (as had been hinted) when she transforms into an extremely old, shrivelled woman after removing her ruby necklace. 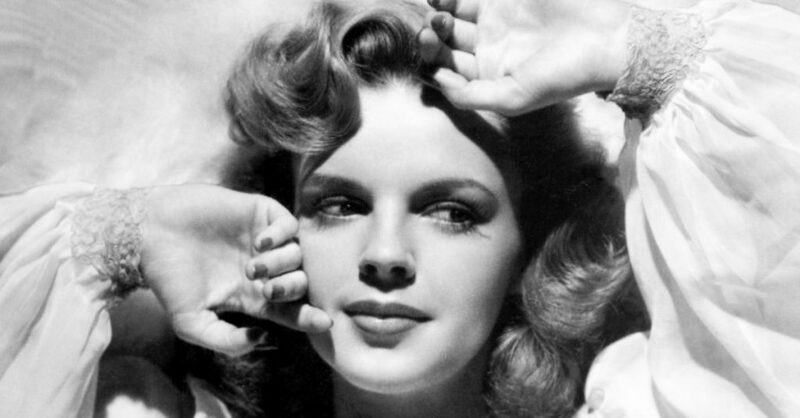 Her youthful appearance is a glamor (an illusion created by a Red Priest that changes someone’s appearance). 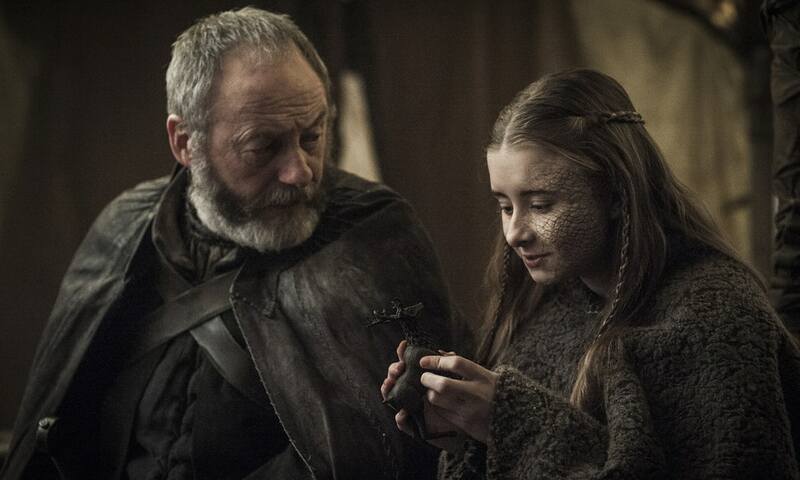 Another key difference between the TV show and books (so far) lies in the tragic fate of Shireen, Stannis’s daughter. 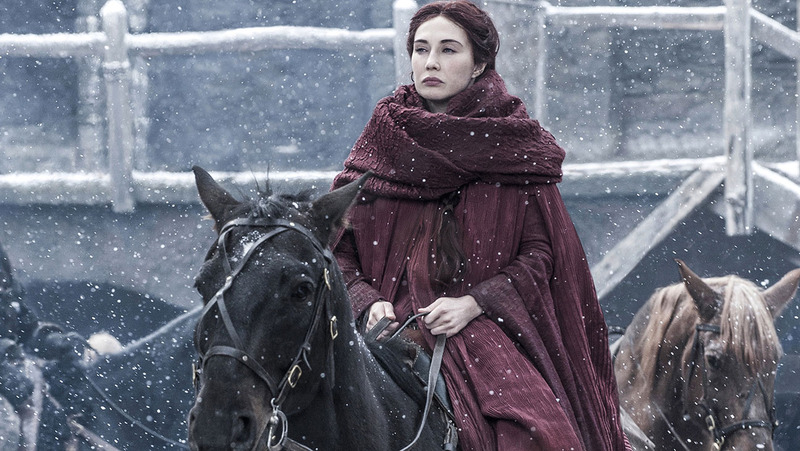 In the TV series, in season five episode nine, Melisandre convinces Stannis to sacrifice his young daughter to save his army from a killer storm. This “Agamemnon and Iphigenia” inspired plot point has not yet emerged in the books, however Martin has suggested it will at some point. This plot divergence actually caused a bit of blowback among fans of the books, as they complained that the TV show spoiled something from the novels, which until that point he stayed ahead of the show. 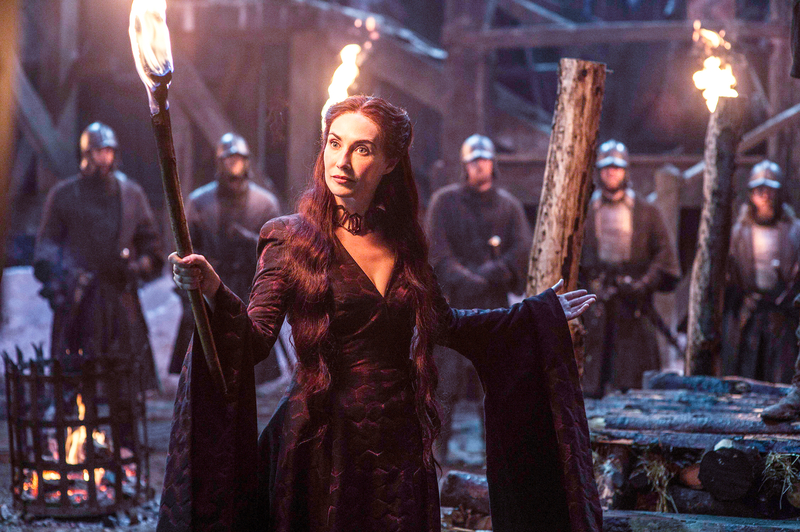 Although it isn’t confirmed in the show, the revelation of Melisandre’s true age suggests she may be immortal. This is also confirmed by her ability to avoid death, such as in season two when she survives poison. Though it seems like she has always been the fearsome Melisandre, an illusion she actively cultivates, the Red Priestess was not always in a position of power. 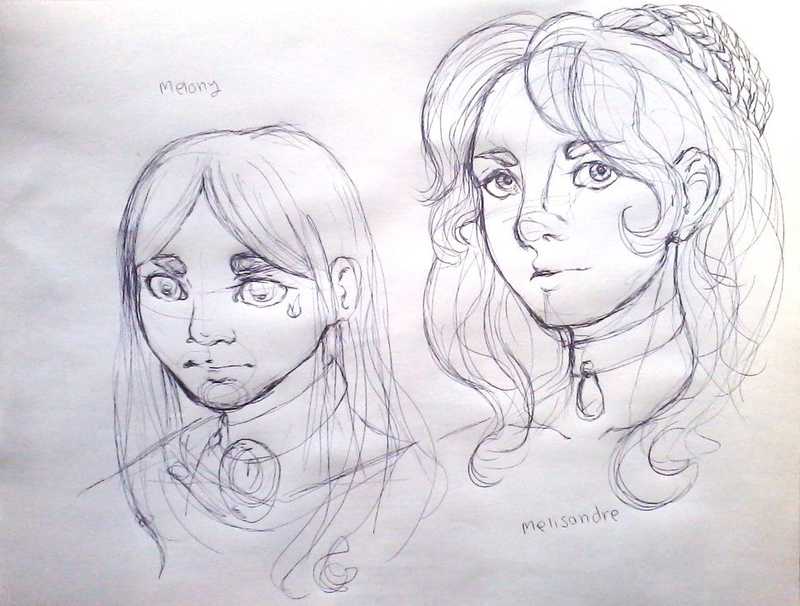 In her youth she was actually a child slave named Melony. This frightened child was sold to the Red Temple, where she gained her powers and became the enigmatic figure we all recognize. 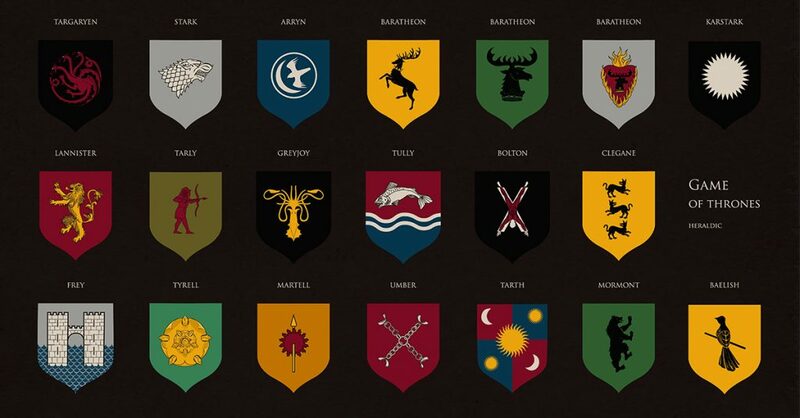 One of the trademarks of the slaves of the Lord of Light is a tattoo, which Melisandre doesn’t seem to have in the show. This may be due to the glamour that she maintains, or chalked up to her mysterious past, which has still not been totally revealed. In the books, Melisandre is reported as only sleeping as little as possible (no more than one hour a night) and eating nothing. She gets all her sustenance from her god, R’hllor. Guess that’s one way to keep a trim figure. 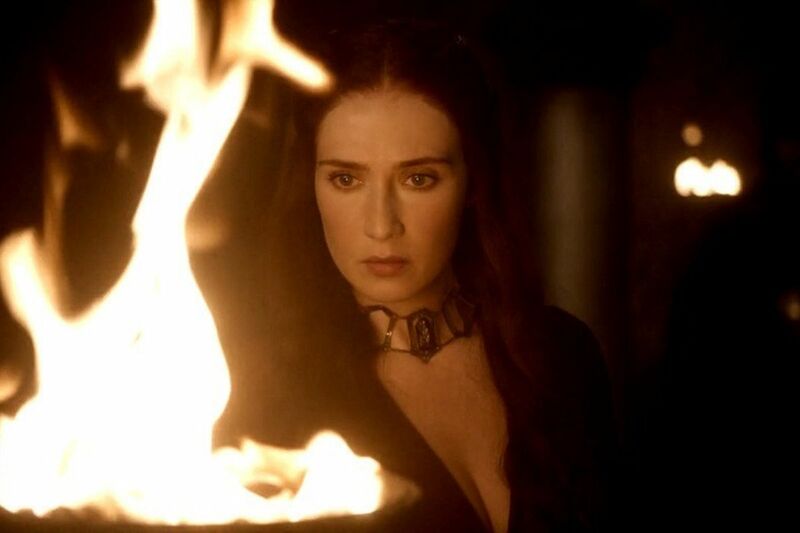 Part of Melisandre’s powers lies in her ability to birth shadow monsters who then seem to do her bidding. 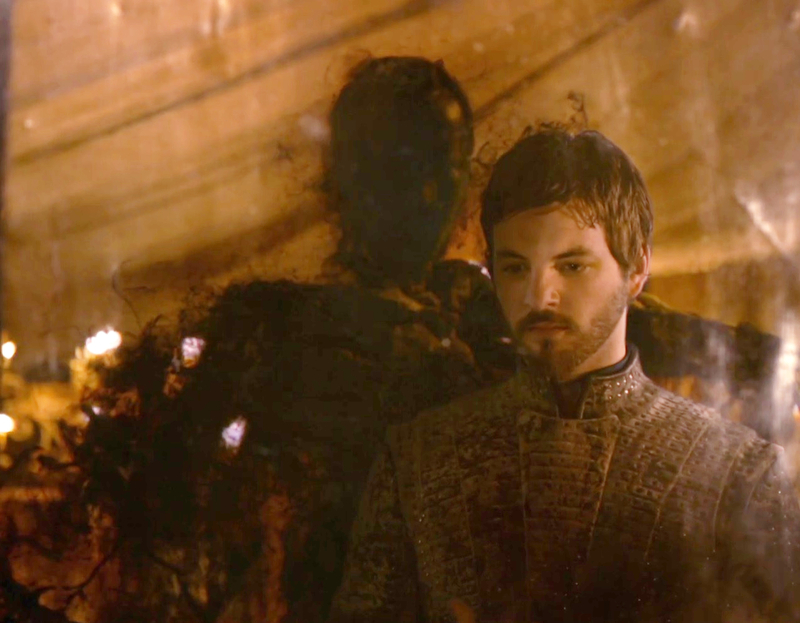 In the TV series, Melisandre gives birth to a demon shadow creature that then kills Renly Baratheon. In the books, she produces a second baby-shadow-man-monster, who then pushes Ser Penrose (an unfortunate knight who is creating an obstacle for Stannis) from a window. When comparing Melisandre’s powers from the books to the TV series, one of her more overt offensive skills has not been revealed yet on the show. 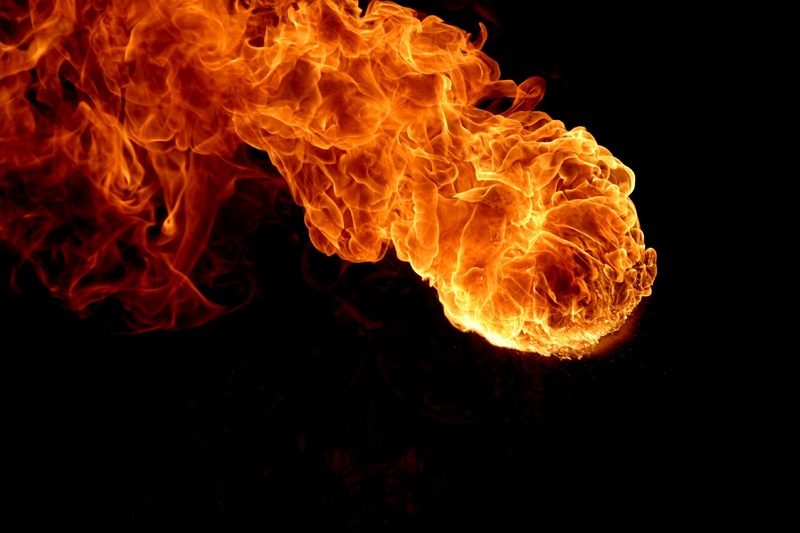 In the books Melisandre can, and does, throw fireballs. This comes up in the books when she kills Orell’s eagle. 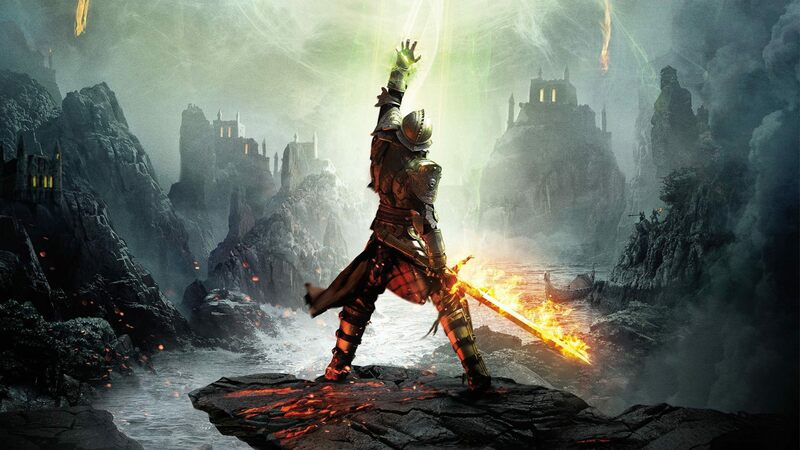 We’re not sure why they’re holding back such an awesome power from the show, but we an only hope it’s to reveal it at a particularly epic moment. Melisandre is elusive in everything she does and everything that is known about her, and this carries over into her magic. She often presents her magic with ease, but in reality her powers take a toll on the priestess. 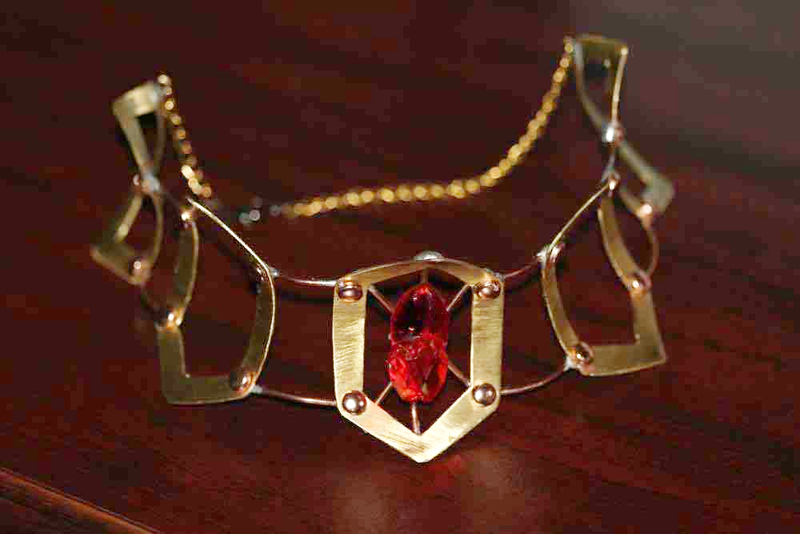 For example, her ruby choker, which glimmers red when she is using her magic, can burn her if the work she is doing is very powerful. 4. A Second Mother of Dragons? Melisandre claims one ability that is yet to be proved in either the novels or the show—this is the ability to raise stone dragons. In both stories, Melisandre’s attempt at raising a dragon are foiled by Davos, who saves the lives of those she would use a sacrifice. There may be a suggestion in the plot that Melisandre’s stone dragon will come to pass however, as Daenerys has a vision of a giant stone creature flying around a burning tower. Van Houten was originally requested to audition for the role of Cersei Lannister—a long term role that van Houten, at the time, wasn’t interested in. 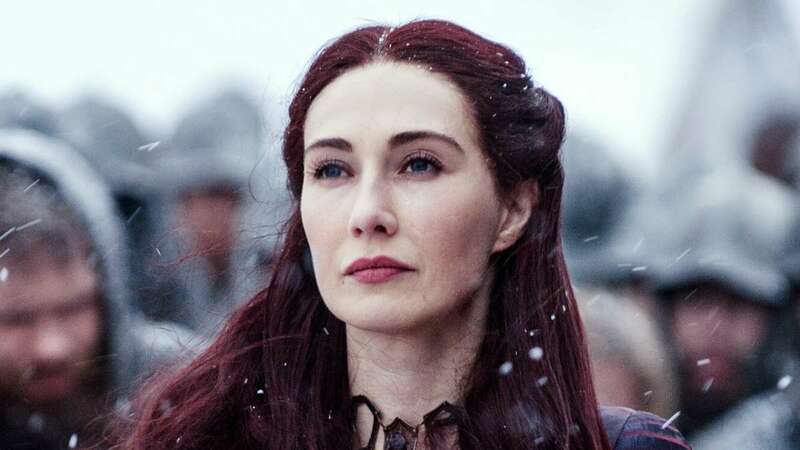 Later, after seeing the success of the Game of Thrones series, van Houten decided that a role on the show would be something she would consider and then auditioned for Melisandre. 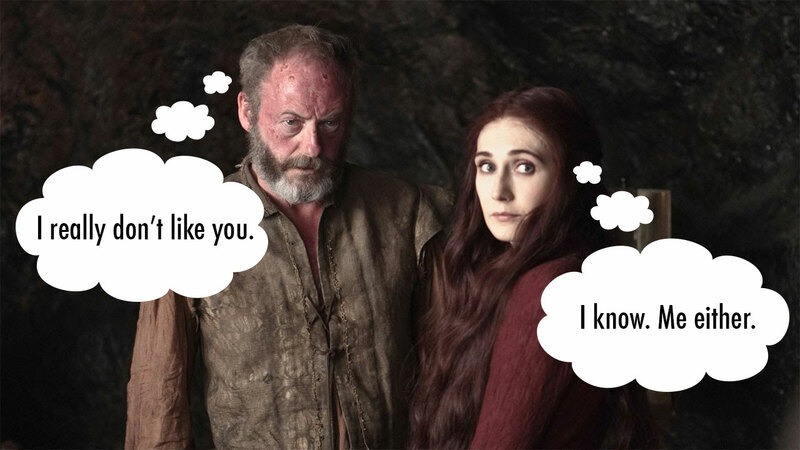 Melisandre and Stannis right-hand-man Ser Davos have never seen eye to eye, so it wouldn’t be surprising if she is planning something against him in the future. How this might come to pass is hinted at through the subtle references to finger bones in the story. Famously, Stannis had the tips of each of Davos’ fingers removed as a punishment for smuggling, and he keeps the bones safe in a pouch around his neck until he loses it in combat. At another point in the story, Melisandre mentions the use of finger bones in her magic. Might Davos’s fingers come in handy for Melisandre in the future? The scene in which Melisandre transforms from young to old in front of our eyes was one of the most visually arresting in the entire series, but what is not well known is the clever trick of special effects that was done to achieve it. 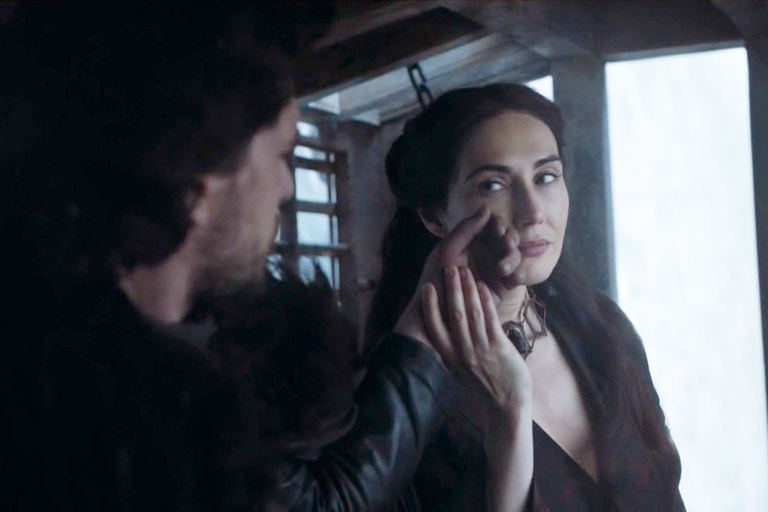 Van Houten also played the old version of Melisandre, sort of; in the scene she is wearing expert prosthetics and make up on her head and face, which were then merged through special effects onto the body of an actual old woman. Quiz: How Well Do You Really Know All The Pixar Movies? Quiz: How Much Do You Know About World War 2?